What fear seems overwhelming to you right now? A situation that your child is in? Something God is calling you to do? A diagnosis that you’re unprepared for? An uncertain future? At the time, I was terrified of beginning a speaking career. I had plenty of reasons why it wouldn’t work and why God must be making a mistake to call me into speaking. Yet when I heard the king’s words to Princess Mia—“courage is not the absence of fear”—I was motivated to discover the King’s perspective on courage in the Word of God. Here are five courage-builders that have helped me, and they can help you too. Ground Your Confidence in God’s Love. What has become “more important” for me than my fear is grasping more of the love of God and His tender care. Why is love so foundational to conquering fear? John, Jesus’ beloved disciple, gives us a clue: “There is no fear in love, but perfect love drives out fear” (First John 4:18). I began to understand God’s incredible love for me, and I could not help but love Him back. Love dispelled and replaced my fears. Love is a powerful motivator. Love enables us to sacrifice for someone we love and even lay down our lives for them, if necessary. Love for God is at the root of every Christian martyrs’ courage. Revelation 12:11 praises those who “did not love their lives so much as to shrink from death.” They loved the Lord more than their own lives! Just as a young child walks hand-in-hand with a loving, caring parent, I’m learning to ground my confidence in God’s provision and power, even in the scary times. When loved ones battle illness. When unexpected expenses pile up. When television newscasts frighten me. When wildfires rage near my home. I know the One whose matchless love sent Jesus to die for me is more than capable of caring for me in any circumstance. Face Your Fear in God’s Power. It’s natural to shrink away in fear, to hide our fears, or to suffer from analysis paralysis. But believers are to live supernaturally. Rather than standing in the shadow of our fears, we stand in the shadow of the cross and the power of the resurrected Christ. We may have good reasons to be afraid, but we take comfort knowing we are not alone in our fear. The Lord is with us, and when we are feel weak, we can face our fears knowing He is strong and will help us. My mantra these days is, “Be strong in the Lord and in His mighty power” (Ephesians 6:10). Stretch Your Comfort Zone at God’s Direction. Stepping outside our comfort zone is by definition “not comfortable!” It can be terribly unsettling. Procrastinating in fear when the Lord invites us to follow Him is often a lack of faith. But when we choose obedience and step into unfamiliar territory trusting Him, we receive God’s direction. We can also ask for wisdom to proceed, and He will give it generously. The truth is, without Jesus we can “do nothing,” whether we’re in a comfort zone or not. But when we “abide in”—or make our home in—the Lord, the True Vine, we will eventually bear fruit. Discipline Your Mind with Biblical Truth. The Lord wants to transform our thinking about fear and help us root out the enemy’s lies. We need to discipline our mind with truth. For instance, Second Timothy 1:7 tells us fear does not come from the Lord. Philippians 4:13 says we can do all things through Christ’s strength. Jesus tells us He will give us His peace, and we do not need to be troubled or afraid (John 14:27). Believe the truth! Courage is a choice! Cultivate Your Courage with Daily Practice. A God-honoring habit of courage can be cultivated. People with wimpy courage can grow to be mighty towers of strength in Christ. Be on your guard and practice being courageous, defending what you believe. Practice standing firm and giving yourself fully and bravely to the work of the Lord. Change up your routine from time to time to practice stretching your courage. Be alert to little opportunities for courage God may bring every day that will prepare you for the tougher times. 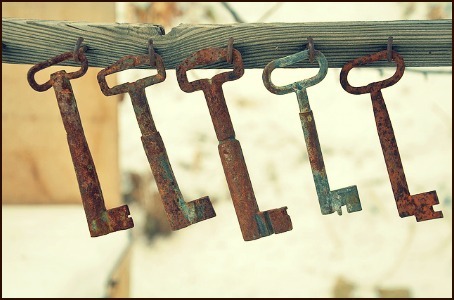 What is the key to upgrading your courage today? Do you need more love, power, faith, truth or practice? Dawn and I would love to hear it in the comment section below. 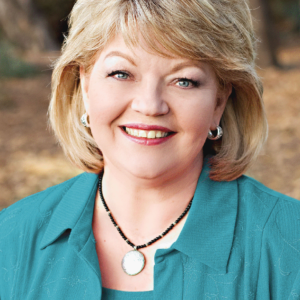 Dawn Wilson is a writer and speaker, calling women to make wise and godly choices. She works as a researcher with the national women’s revival ministry, Revive Our Hearts. As the founder of Heart Choices Today, she also publishes two blogs: Upgrade with Dawn and LOL with God. Dawn also writes for True Woman.com and Crosswalk.com. She lives in Southern California and travels occasionally with her husband and Pacesetter Global Outreach. They have two married sons, three granddaughters and a rascally maltipoo. on 5 Keys to Fighting Your Fears. I needed this post especially today. My mother has been recently diagnosed with dementia although she’s been exhibiting symptoms for several months now. I am her caregiver and I fear not doing enough for her or realizing when she needs something that I miss. Guilt is a terrible thing. My doctor has warned me to remember to take care of myself too and that’s hard when I’m watching out for her. I’m sorry to hear of your situation, Gail. I know that must be fearful at times. I’m glad you have a relationship with God and you know to call upon Him for the strength and wisdom that you need. You are in my prayers today. Dear Dawn and Cindi, thank you for this article. I love how God know the details we need at that perfect given moment that we need it AND the courage to realize in faith that He equips our lives to fulfill the purposes He has predestined. I say “yes, Lord” and I let Him invade my life with His courage, truths and love. With that we all can walk in courage. Thank you, Anna, for your comment. I’m glad this blog came at the perfect time for you, and I agree that is God’s provision for what we need right when we need it. My fears were speaking especially to familiar people(friends) about the word of God and procrastination as to when I need to approach a situation. Thank God for my deliverance and I’m encouraged daily by your writings. Thank you Cindi and Dawn. Thank you beautiful women of God for all that you do encourage women like myself to trust God and put him first in all that we do… My current weakness is rejection and failure. hi Cindi i was just surfing the net but just needed a response. I’m a Christian woman very new to feeling God’s presence. I was expercincing something supernatural and I got afraid. How do I overcome and embrace all that God has for me. Also I need prayer for understanding when I’m reading the word. I ask God to open my eyes and my spritual ears.